Fr. 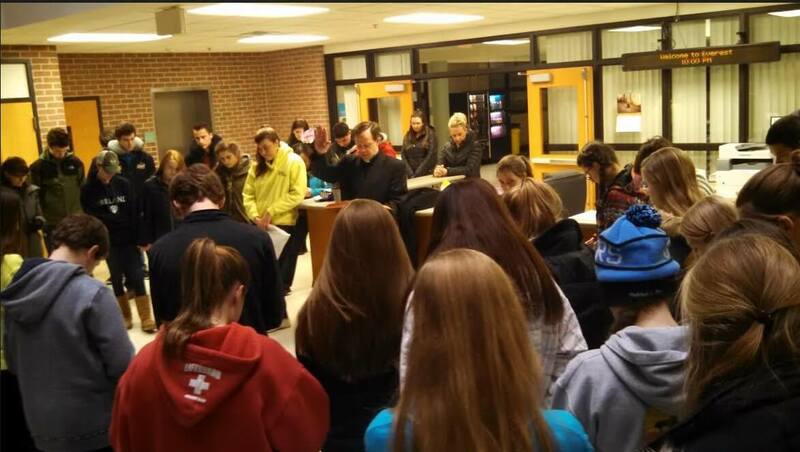 Daniel Pajerski LC prays with the Everest students who left today, Thursday, for Washington DC and the March for Life. Forty students from 8th through 12th grade are participating, along with eight chaperones. Please keep them, and all travelers in the area, in your prayers. Challenging weather is predicted for that part of the country. 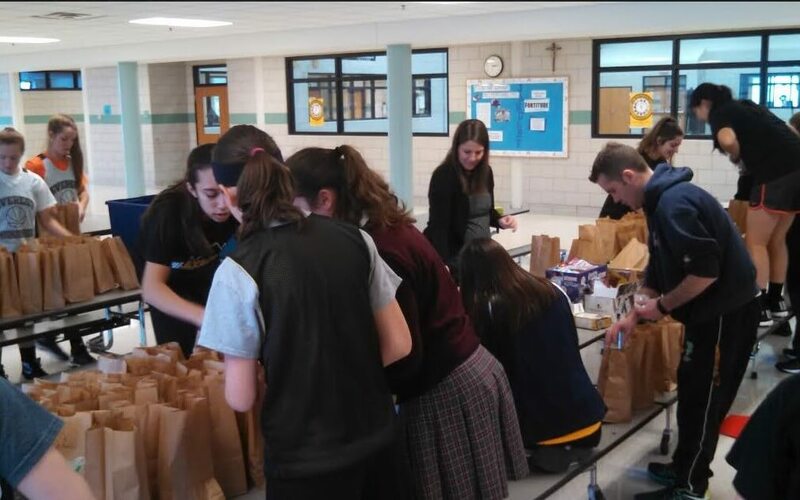 Thanks to the EC varsity girls’ basketball team for making lunches for the intrepid travelers.